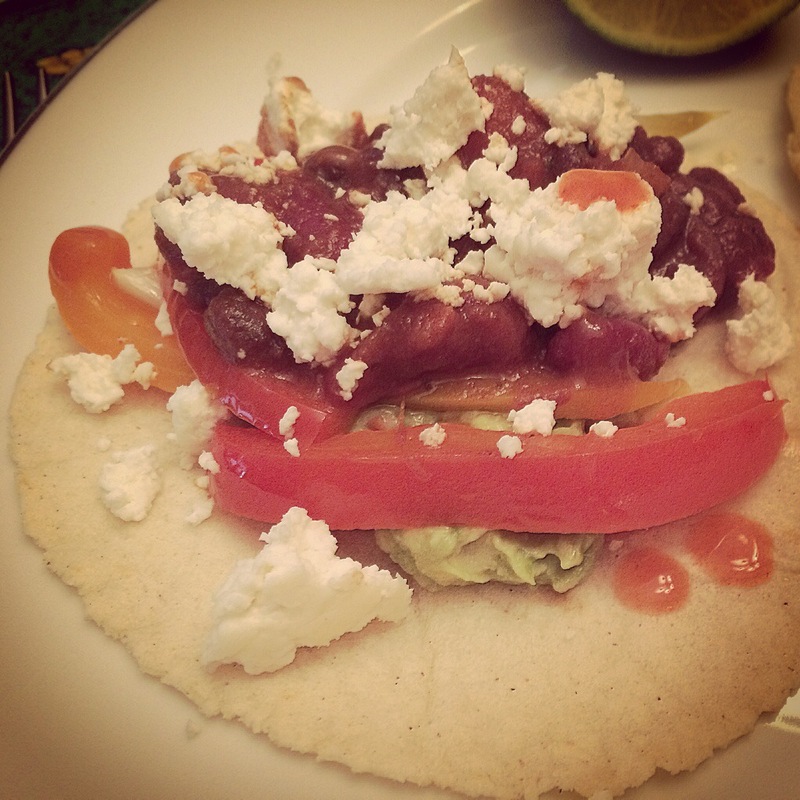 All I can say is, once you’ve gone homemade you can never go back… with Homemade Corn Tortillas, that is! 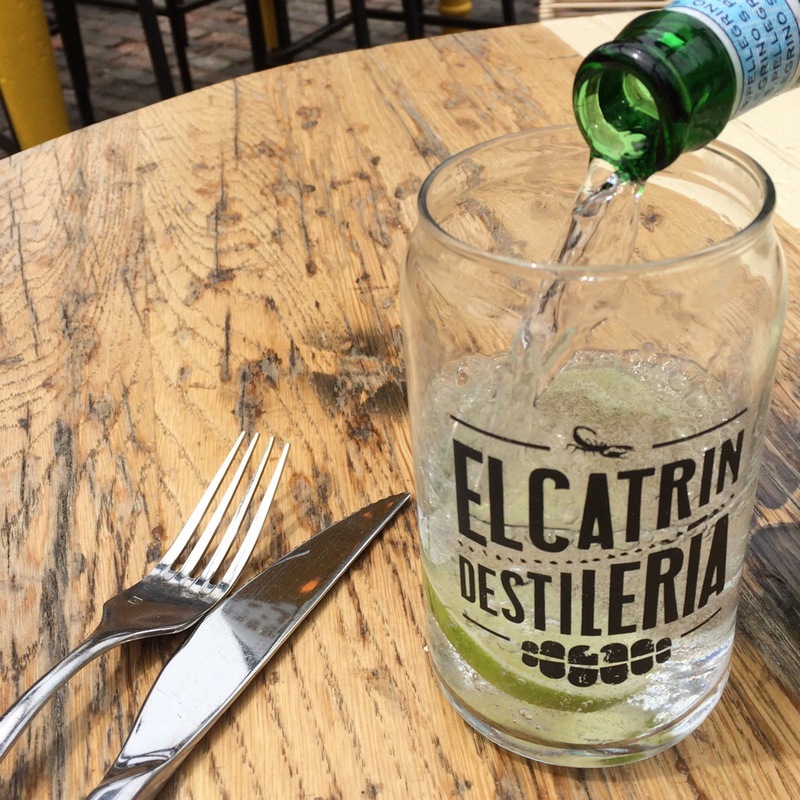 Mr. KitchenOperas and I have been spoiled with divine Mexican food at a local restaurant: El Catrin, in the Distillery District here in Toronto (18 Tank House Lane). 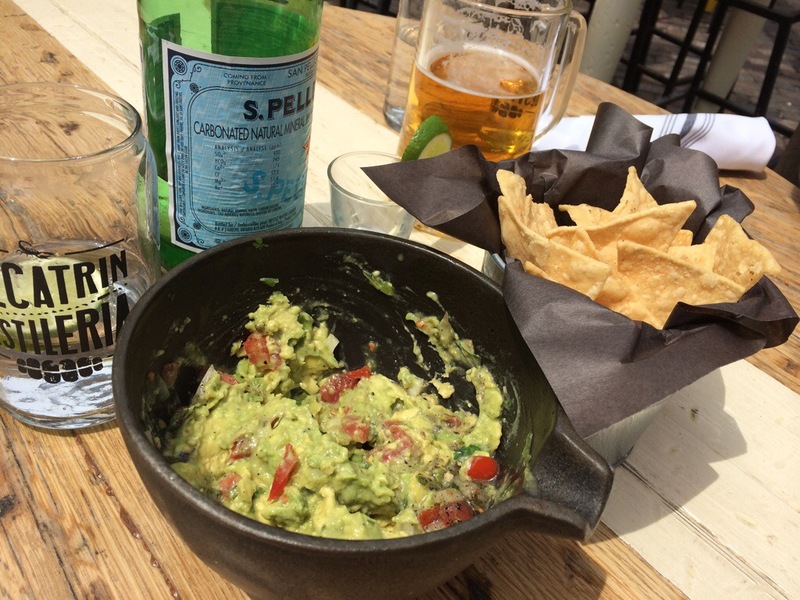 Last week we went for a lunch-time getaway, and enjoyed some delicious food and sunshine on the patio! Guacamole? Made at the table? Yes, please! 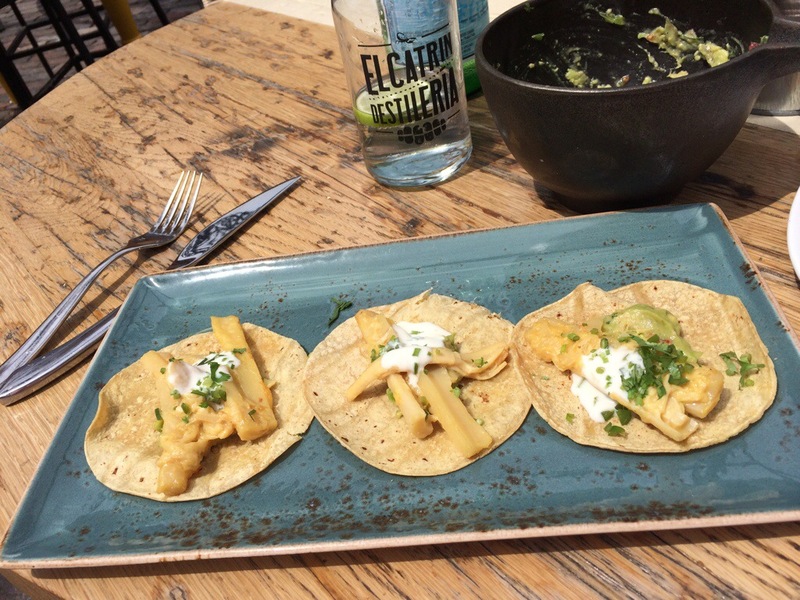 And the total star of the show: El Palmito veggie tacos — Citrus braised hearts of palm, avocado, serrano chili, and crema fresca, all on a perfect corn tortilla. And after having such good tortillas, I knew that next time we had a taco night, I’d need to make my own corn tortillas! But the smash hit of the evening? 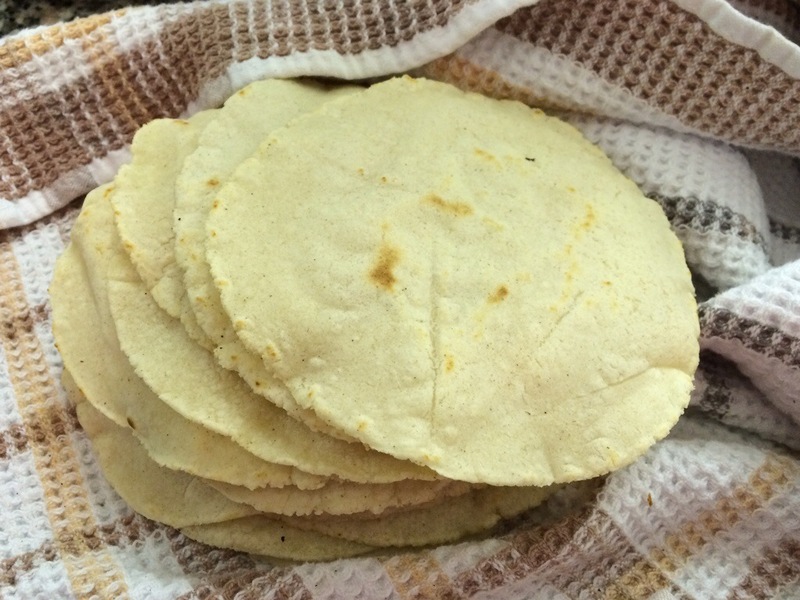 Our own homemade corn tortillas! 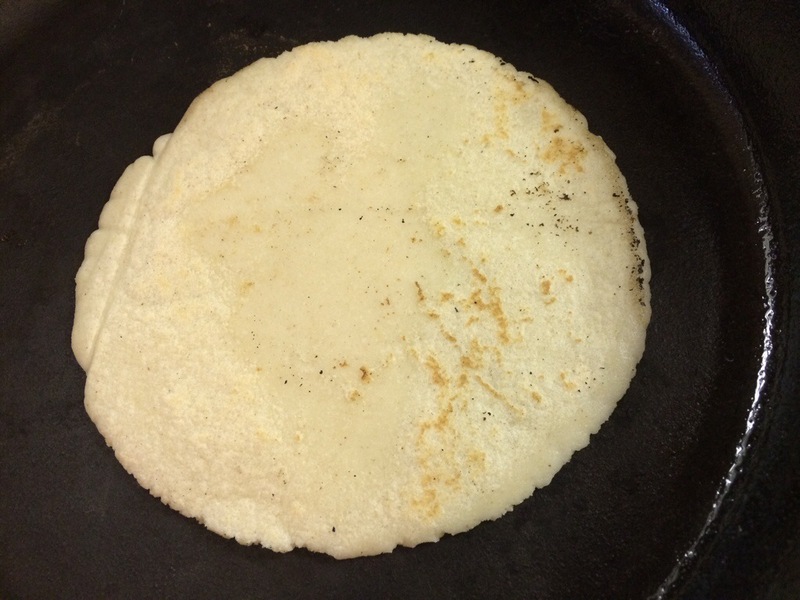 Then flip again, press down with your spatula, and if the stars are in alignment, your tortilla will puff up! Cook them for another 30 seconds each side — and voila!!! TORTILLAS! 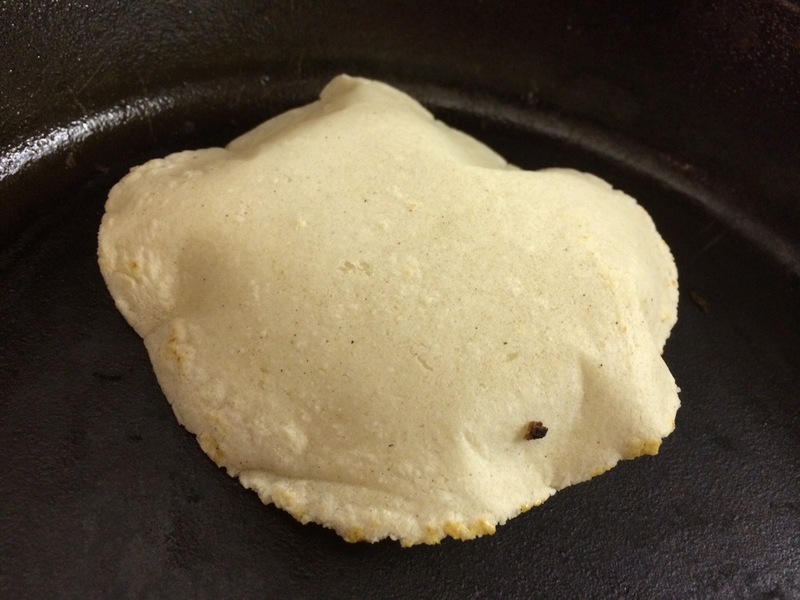 Masa Harina — but you already bought a bag to make my Arepas and Masa Cornbread, right? I have a bag of white MASECA Masa Harina, which is easy to find in grocery and corner stores around here. It’s precooked corn flour that has gone through the process of nixtamalization, where it is treated with lime (calcium hydroxide, not the citrus fruit). You know that “corn tortilla” taste? That comes from the very alkaline lime or ash. Once I get through this bag, I’m going to test out a bag of the Bob’s Red Mill non-GMO masa harina — I’ve loved all of their other products so far, so I think I’ll like their masa, too. Something with which to squish your tortillas. I FINALLY bought myself a tortilla press, after lusting after my friend Michael’s press… he uses it for tortillas, which he then deep-fries into HOMEMADE TORTILLA CHIPS FOR THE BEST NACHOS EVER. Mine is a Ra Chand aluminum press, but you can get cast-iron or wood ones too. 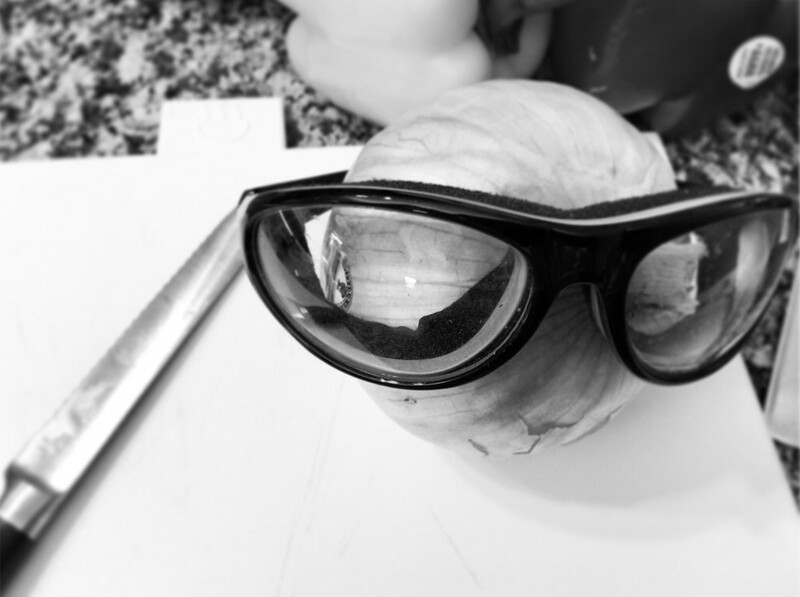 You could also just squish them with your hands, or something heavy (like a cast-iron pan… see #3, below). I even read about someone who puts the dough on the floor (on something clean, I suppose), then puts their cast-iron pan on top, and stands in it to smoosh them. Awesome. I can highly recommend investing in a tortilla press. They get perfectly & evenly thin. And it’s supremely fun. I get frustrated rolling out things; I love squishing things. Something in which to cook your tortillas. I highly recommend a cast-iron pan. Mine is a Lodge 10.25″ Preseasoned Skillet — it was a wedding prezzie from some dear friends of ours, and I don’t know how I got by without one! You could also use a non-stick pan, or a cast-iron comal or tawa if you’ve already got one. Something in which you can keep your tortillas warm. The guy who sold me my new tortilla press thought I also might like an authentic tortilla basket to keep them warm… seeing as I spent my fun money on the tortilla press, I went old-school and used a clean tea towel to keep the tortillas warm. They were still hot at the end of dinner, so I think I spent my money wisely! As you can see, as long as you have the masa harina, you can come up with something you already own for all the other supplies. But I do warn you: homemade tortillas are going to totally spoil you for storebought ones forever more! You’ll find this to be a traditional recipe, and for good reason: it’s great. As usual when you’re working with any flour, the humidity & temperature can make a difference to your final product. Add enough water here to just bring the dough together into balls. You can always add more masa if it gets too sticky, or more water if it gets too crumbly. Trust your instincts! 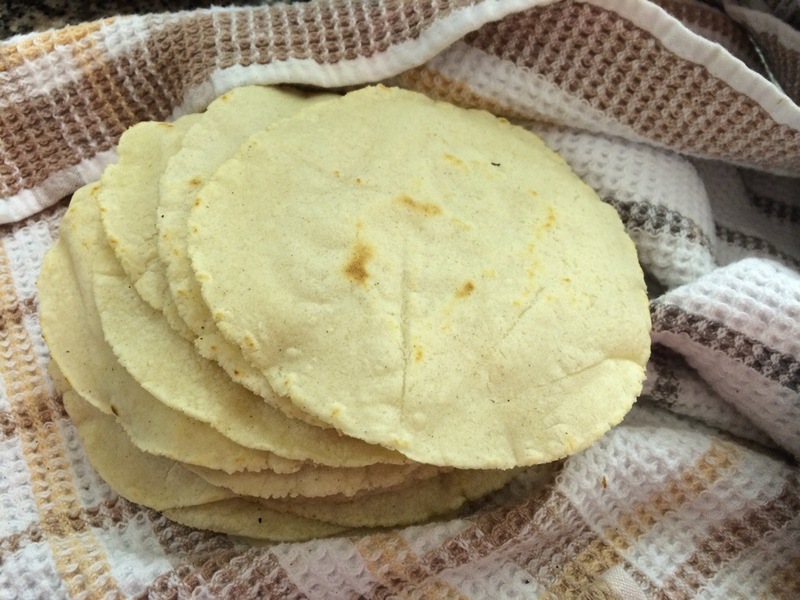 Adapted from the back of the Maseca package; makes 20 (4″) corn tortillas, enough for dinner for 6 people. In a large bowl, stir together your masa & salt. Pour in the warm water, and use your fingers to mix it into a dough. Make the dough into golf-ball-sized-balls. I got 20 balls out of this batch. Cover with a clean & damp kitchen towel. Heat a cast-iron pan over medium-high heat, without any oil in it. Take a large heavy-weight freezer bag, and cut it open into two sheets of plastic. Use this to line your tortilla press, to keep the dough from sticking. (Alternately, you can use parchment or wax paper). Open your tortilla press and place a sheet of plastic on the bottom. Put your dough ball just off-centre, and top it with the other sheet of plastic. Squeeze the tortilla press shut to flatten your tortilla. If it’s not perfectly round, you can open the press, turn the disc a quarter turn, press it again, and repeat as necessary. Open the tortilla press, and peel off the top layer of plastic. Flip the disc of dough and the bottom layer of plastic onto your hand, and peel off the layer of plastic (it’s easiest to peel the plastic from the dough, rather than the other way around). Plop the dough from your hand onto the hot & dry cast-iron pan. Cook for 45 seconds, or until the dough no longer sticks to the pan. Flip with a spatula, and cook for 45 seconds on the other side. Flip once again, and press down over the surface of the tortilla with your spatula. This will help the tortilla to puff up! Cook for 30 seconds, then flip to the other side, press it down again with your spatula, and cook for another 30 seconds. 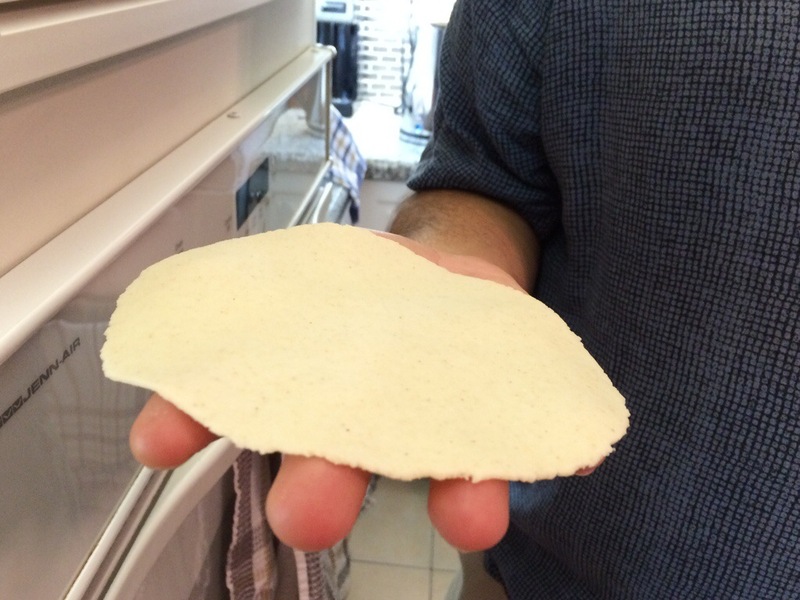 Place your first tortilla into a clean kitchen towel to keep warm. Repeat the pressing and cooking process with the remaining dough balls. Eat your tortillas warm, and enjoy! Tacos are a favorite at my house. I can’t wait to make fresh tortillas. YUM! They really do bring your taco game up to a whole new level — enjoy! I love this idea! I’ve been making a lot of homemade tortilla chips from store bought tortillas, but this sounds even better.